We are an independent Non-governmental organisation (NGO) founded in the UK in 1984 by a group of concerned postgraduate students. From the very start, Islamic Relief had a single vision: “Inspired by our Islamic faith and guided by our values, we envisage a caring world where communities are empowered, social obligations are fulfilled and people respond as one to the suffering of others.” In line with Islamic teachings on the value of every human life, we provide this assistance to the whoever needs us most, regardless of race, religion or gender. While our beginnings were in emergency relief – providing for those who have suffered and lost everything in droughts, earthquakes, floods or conflict – alongside this immediate assistance, Islamic Relief has always aimed to relieve poverty and suffering in the long-term too and utilise zakat and sadaqah for these means. The year after it was founded, Islamic Relief set up its first field office in Khartoum, Sudan, ready to help those affected by the drought not just survive, but rebuild their lives. Since then, we have opened over 100 offices in 40 countries worldwide – from Afghanistan to Albania, Pakistan to Palestine, Somalia to Sudan. As well as disaster relief, we carry out sustainable development work to provide water, food, healthcare, education in the long-term. We also work to support orphans and children, help people build livelihoods to support their families, and protect vulnerable communities from the effects of future disasters. 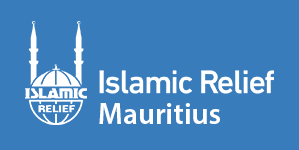 Over 30 years, Islamic Relief has grown, by the grace of Allah, into one of the world’s largest Islamic NGOs (non-governmental organisations). As we look to the future, we are always eager to learn, develop and improve our work, to serve the poorest and neediest people.